As a young man, Thoreau's philosophy of a simple life greatly influenced me. That's why I work out of the home I designed and built myself deep in the woodlands of western Pennsylvania. 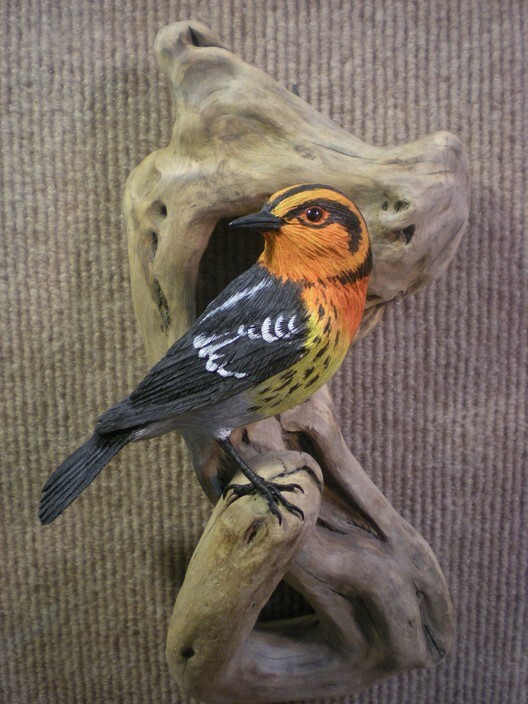 Since 1987, it is here in my home studio that I carve, paint and mount my birds. I bring a keen sense of observation and an appreciation of detail to every piece that I create. 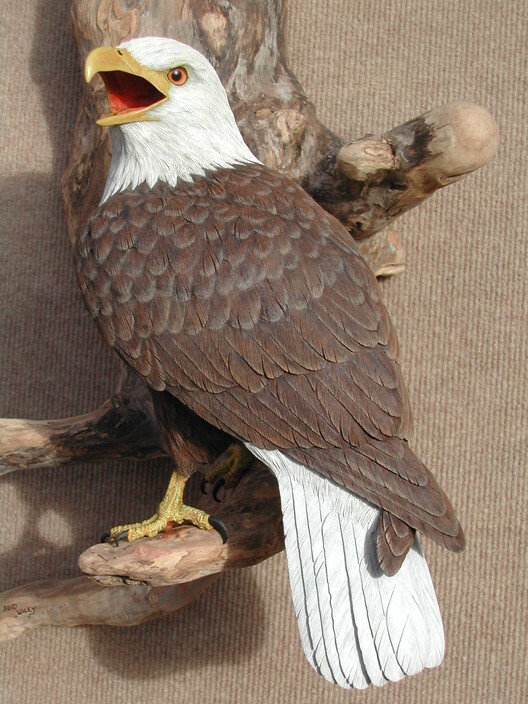 I select and sculpt the driftwood to reflect the attitude and likeness of each bird. I love what I do. 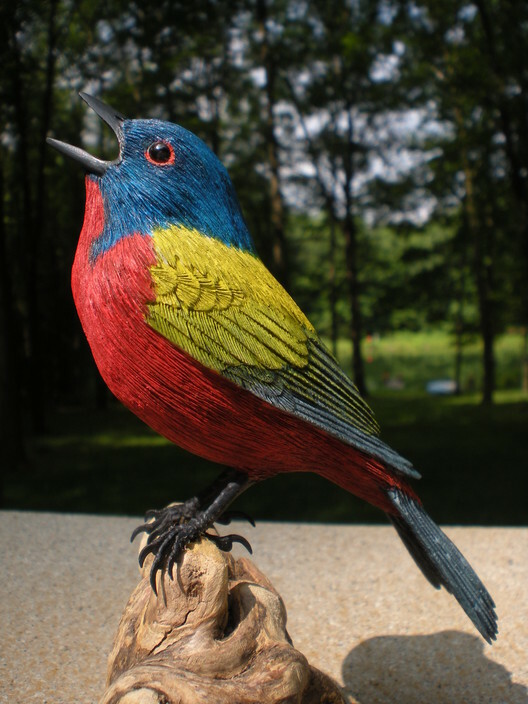 I'm blessed that my livelihood is to carve and paint birds as a full time artist. I hope to share my vision with you--that nature continues to delight, inspire and sustain me. Beauty is all around us. It is this passion, this purity of focus, that breathes life into my birds.